Mechanical Engineering is a broad and versatile field. Concerned with the principles of force, energy and motion, mechanical engineers use their knowledge of design, manufacturing and operational processes to advance the world around us. Mechanical engineers enhance our safety, safeguard our economic vitality and foster enjoyment for all mankind. Virtually every aspect of life is affected by mechanical engineering. Mechanical engineers are involved in designing and manufacturing items such as athletic equipment, medical devices, power plants, computers, automobiles and engines, aircraft and space shuttles. 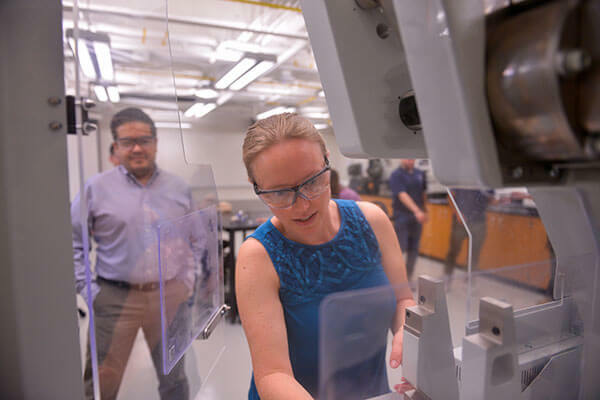 Spanning multiple industries, the career opportunities for mechanical engineers are numerous, ranging from large multinational corporations to small local companies. The U.S. Bureau of Labor Statistics projects that mechanical engineers will experience faster than average job growth in numerous sectors, particularly energy fields. Information in the following link pertains to the Engineering Accreditation Commission of ABET.